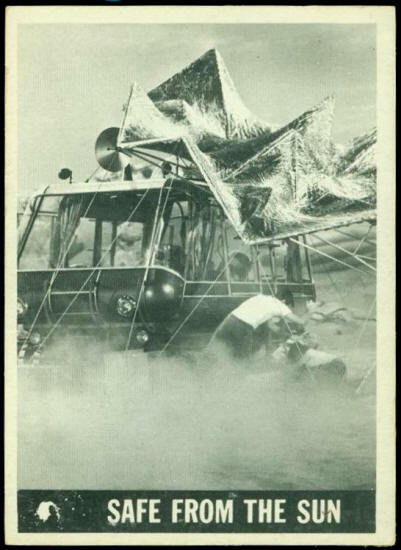 The Robinsons quickly set up a reflecting shelter from equipment that they kept stored on the chariot. 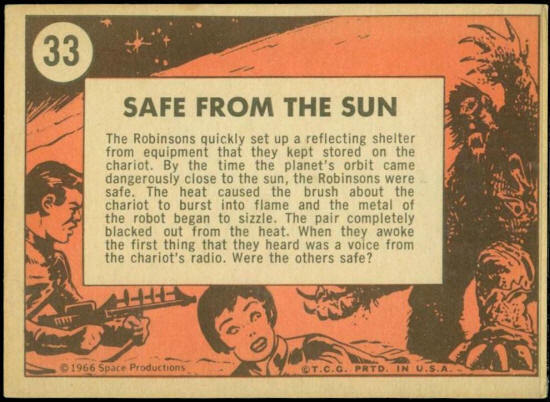 By the time the planet’s orbit came dangerously close to the sun, the Robinsons were safe. The heat caused the brush about the chariot to burst into flame and the metal of the robot began to sizzle. The pair completely blacked out from the heat. When they awoke the first thing that hey heard was a voice from the chariot’s radio. Were the others safe?